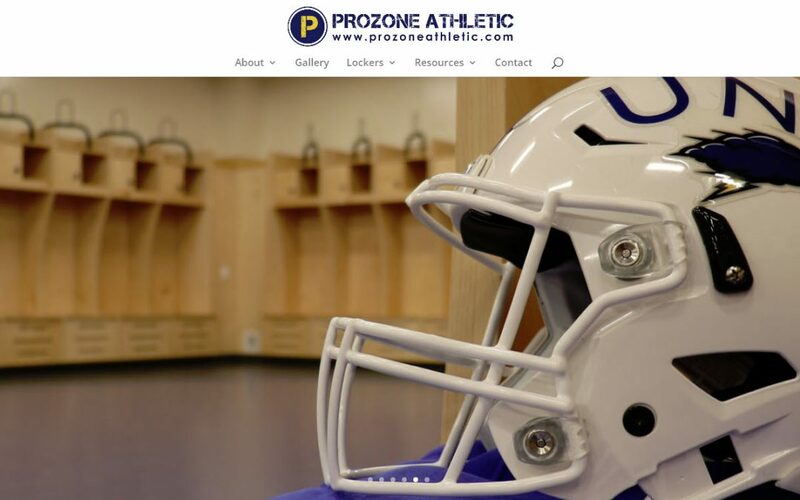 We recently gave a facelift, in a partnership with Dream Digital, to the website of Prozone Athletic, premier maker in the United States of wood locker rooms. Prozone has done some amazing work, including for ESPN (completed after our revamp). When you see their site it’s obvious they have earned their impressive clientele. The problem with the previous iteration of the Prozone website was that it was locked into a particular look with its theme. Modern themes (we deployed Divi by Elegant Themes) really act more like a design platform than a set look, allowing more freedom of design on a page-by-page basis. Some of the touches we’ve added are videos to the homepage, an easier-to-view gallery and obvious yet understated contact forms throughout the site. It’s pretty essential that you make it easy for prospective customers to reach you! It goes without saying that the site is mobile friendly. Prozone opted to host with GoatCloud and so has offers up a secure browsing experience via HTTPS (something all out hosting customers can get for free as part of hosting). Like Prozone’s, many websites can use a refresh after a few years. If you’re in the market for a refresh of your locker room and are looking for something truly unique, check out Prozone Athletic.